NEW! Buy this item and earn 9 Fidelity Point(s) for a discount on a future purchase. (1 Fidelity Point = 1 Euro). 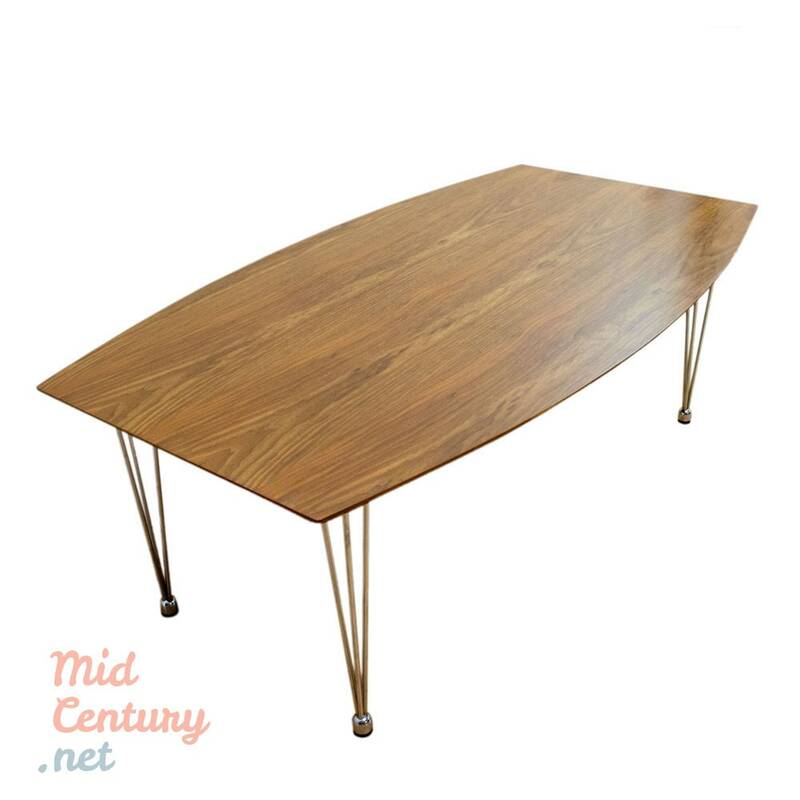 Elegant cherry wood table made in Germany, in the mid 20th century. 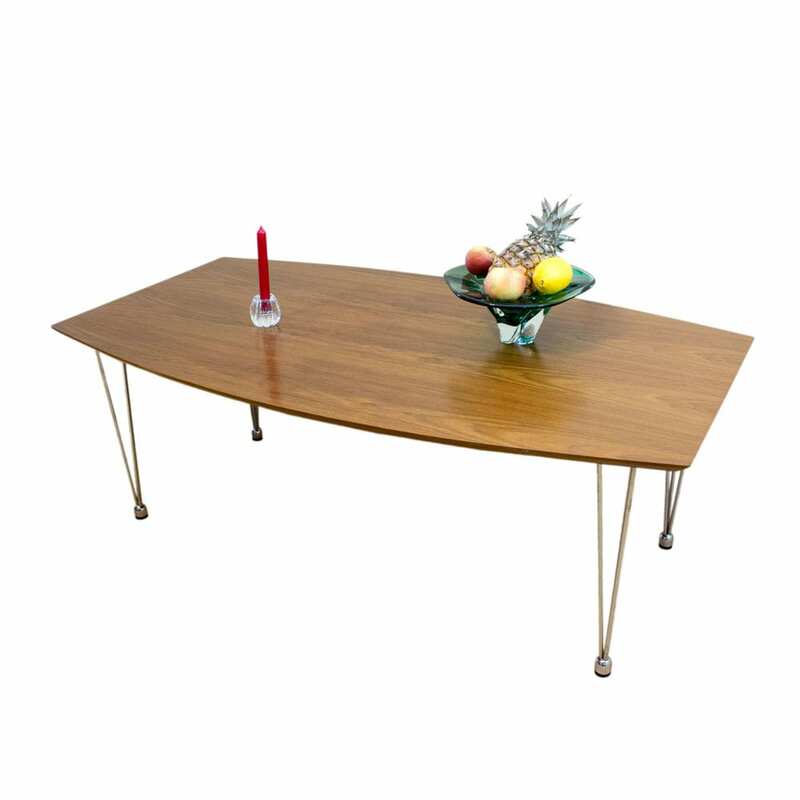 The tall and slim legs and the thin top, with beveled edges, give this table a special finesse. An example of the elegant, refined German taste. 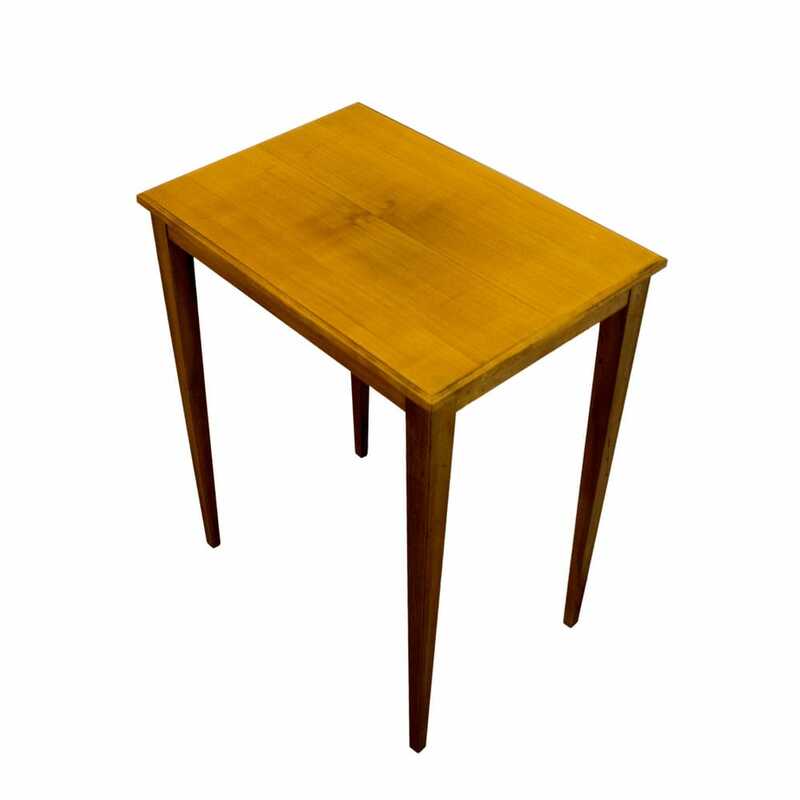 The table is in very good condition. 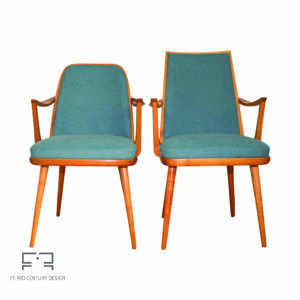 Pair of chairs made in France, in the late 1970s. 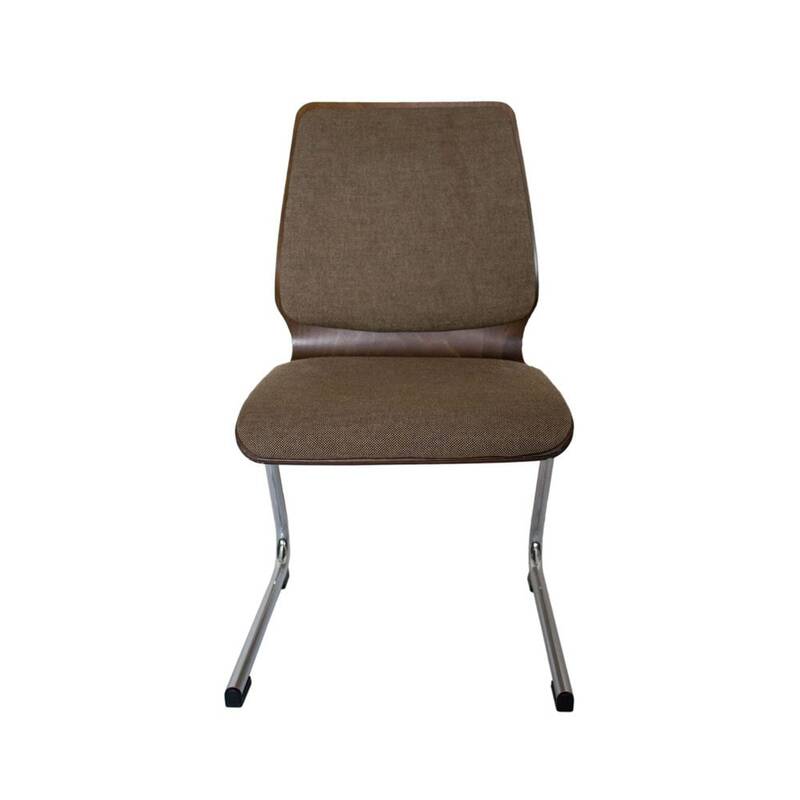 The structure, made of walnut, draws a slim silhouette, accentuated by the trapezoidal shape of the backrest. The front legs, cone-shaped, have brass clogs. The chairs have new upholstery (in the spirit of the period) and are in excellent condition. 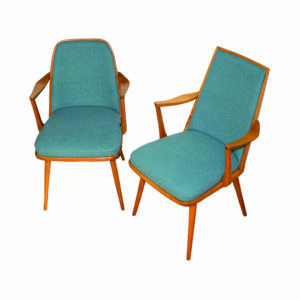 Rare and beautiful pair of Mid Century armchairs for her and him made in Denmark in the 1960s. His armchair is a little bit bigger and has a backrest with straight angles while hers is smaller and features a suavely curved backrest. 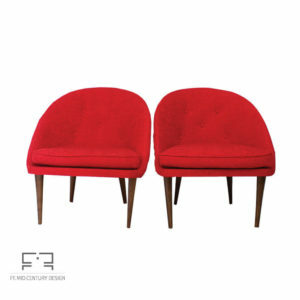 The armchairs have new upholstery which follows the texture and color of the original one. 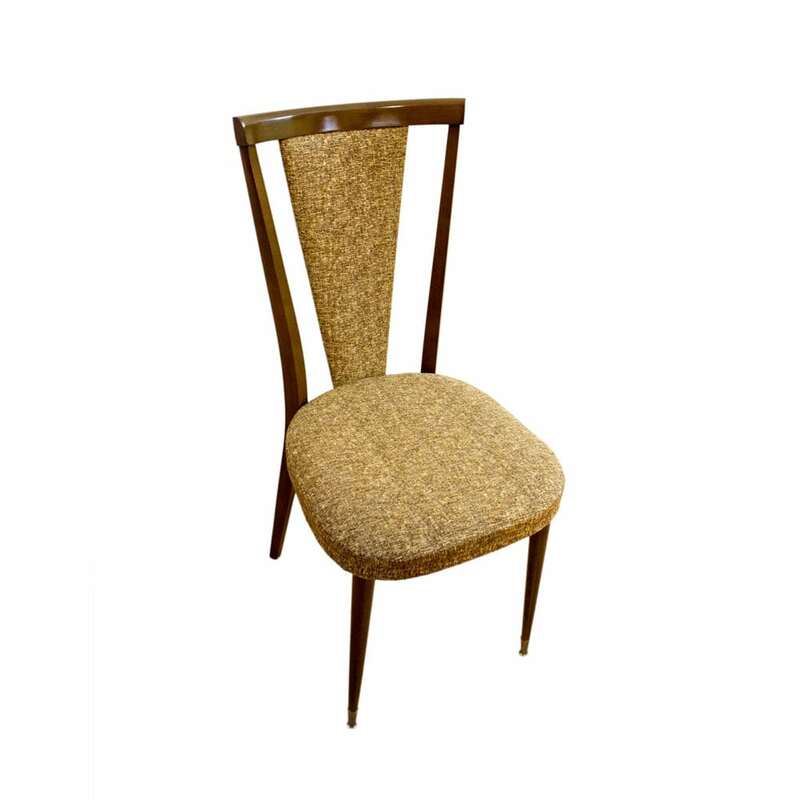 The pair is in good vintage condition and will look great in a variety of places around your home. 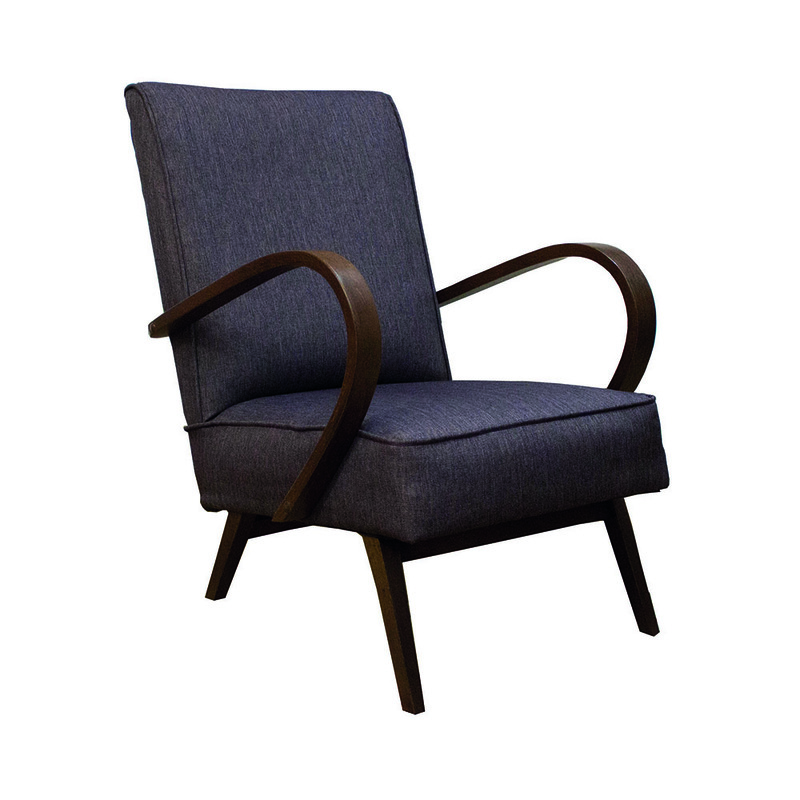 The him armchair has some minor signs of wear on one of the armrests. All the little signs of wear are visible in the photos. 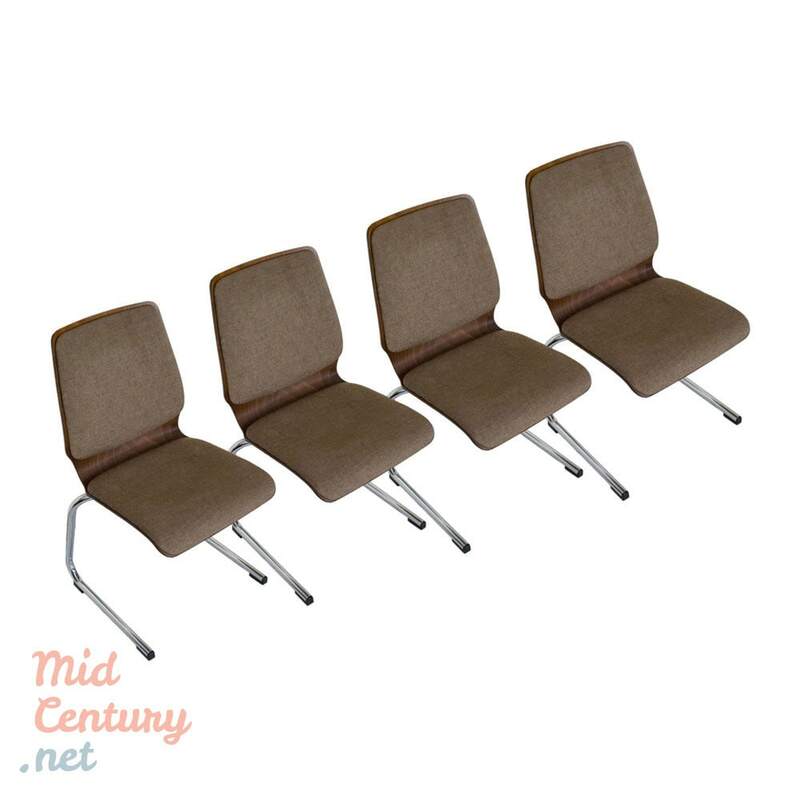 Very well preserved set of 4 Wiesner Hager chairs made in Austria in the 1970s. 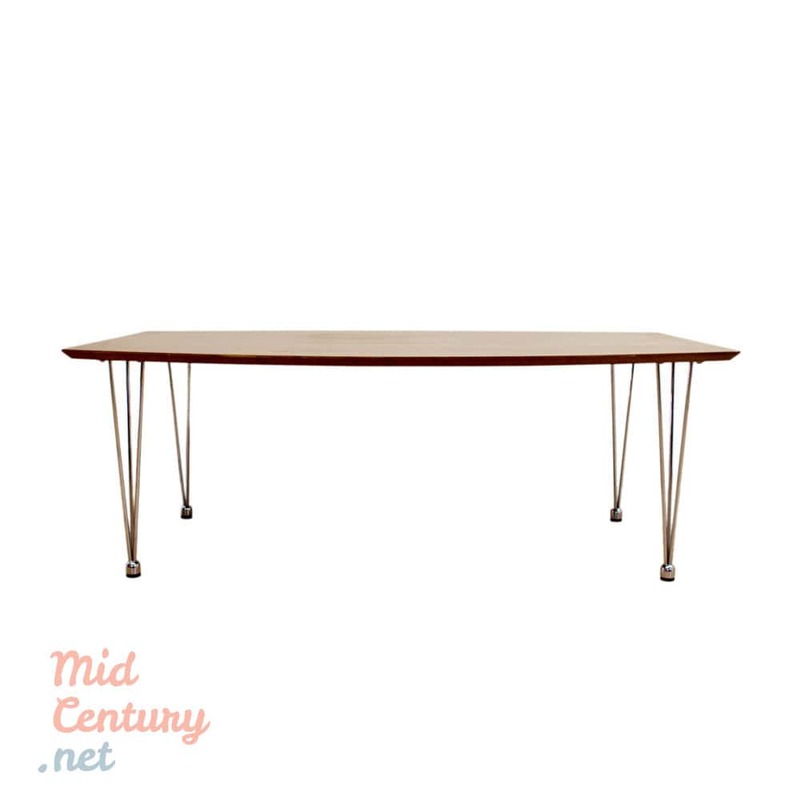 Plywood with cherry wood veneer and a tubular steel cantileverd structure. They have the original fabric upholstery. The chairs have an ergonomic shape, featuring organic, curved lines, but an overall industrial design look, being that kind of furniture items that are as much about function as style. Wiesner-Hager was founded by Josef Wiesner as a carpentry business in 1849. In the year 1921 Rudolf Wiesner and Sebastian Hager took over their father’s business, which was at that time purely a carpentry and construction company. With the restructuring of part of the construction business into a furniture manufacture the two lay the cornerstone for a second branch of the business. 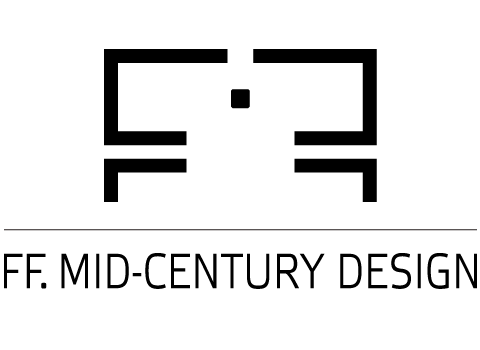 Now, due to major changes in the working world and the enormous upheavals in the office and properties branch, the furniture offering has been expanded since the noughties to include the services of office consulting and interior design: Concept orientation has become a key success factor. With an export quota of 50% Wiesner-Hager is currently one of the most renowned companies in the furniture branch in Europe. 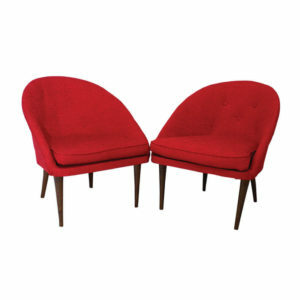 Exquisite pair of cocktail shell armchairs made in Italy in the late 1960. This suave shell-shaped items are characteristic for the La Dolce Vita atmoshere of the Italian mid-20th century. The armchairs ware recently restored. The new upholstery maintains the texture and color of the original ones. The legs were re-stained but no other interventions were needed. 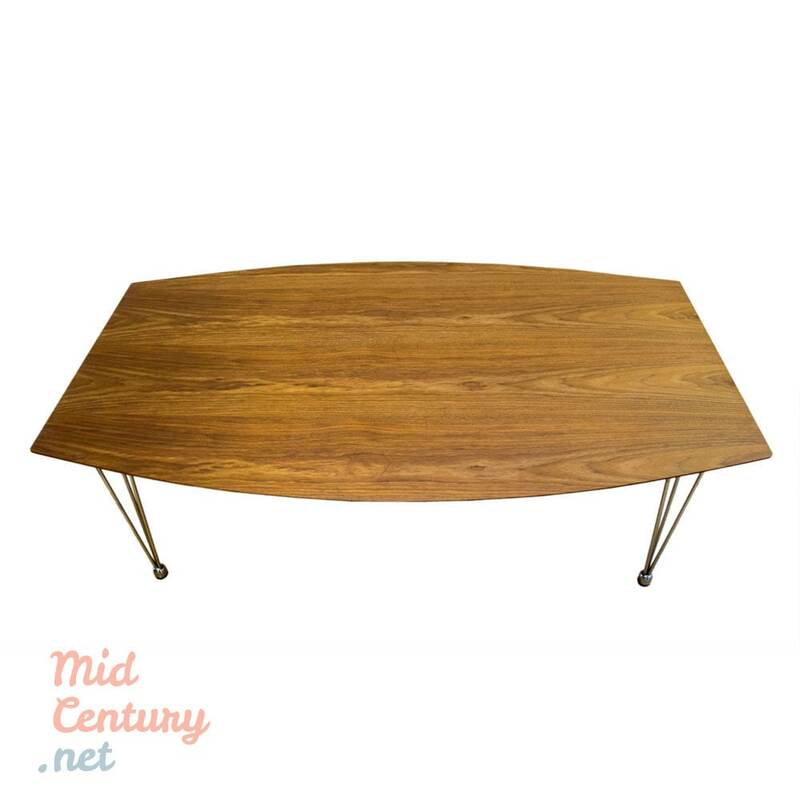 The items are in good condition and will be the chic accent of any room. They are incredibly comfortable so you just have to take a seat and enjoy your dolce far niente moments. Elegant and exquisite Art Deco armchair made by Jindrich Halabala for UP Zavody, Czechoslovakia, in the 1950s. Halabala, one of the "Modern classics", was the director and chief architect of UP Zavody. 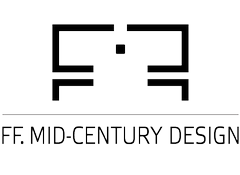 The factory was considered - during the 1950s and 1960s - the largest furniture manufacturers in Europe. 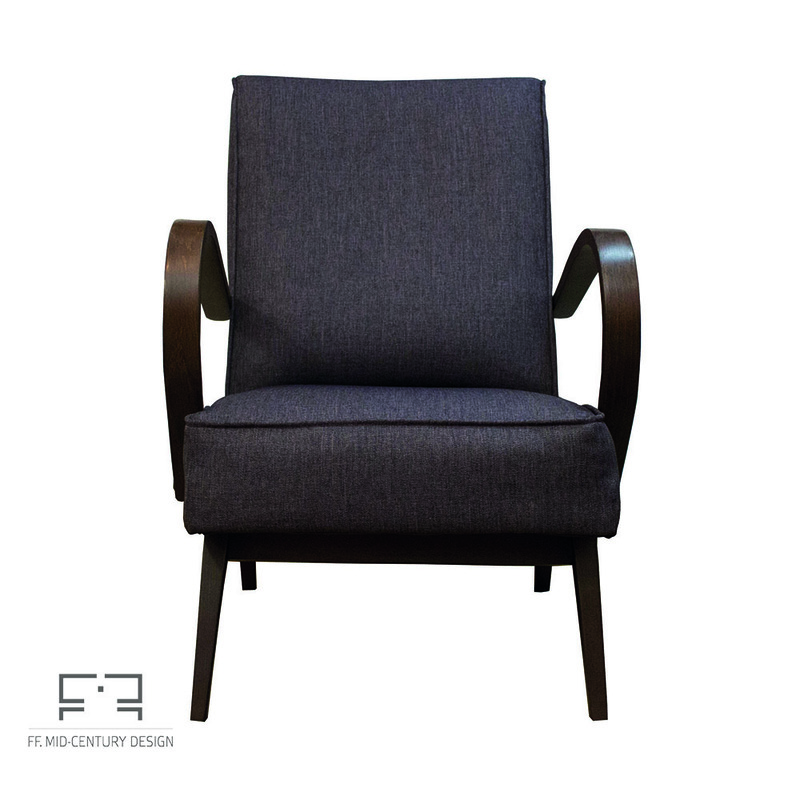 This armchair features both the geometrical lines of an Art Deco item and the clean shapes and honest philosophy of the Modern design. The armchair have recently been restored and have new upholstery.